048-MP Wizard of Oz - Cross Stitch Central: Wonderful collection of cross stitch and needle-craft supplies at the best possible prices! Relive the magic of the classic 1939 movie The Wizard of Oz starring Judy Garland in this wonderful cross-stitch adaptation of one of movie's famed movie posters. 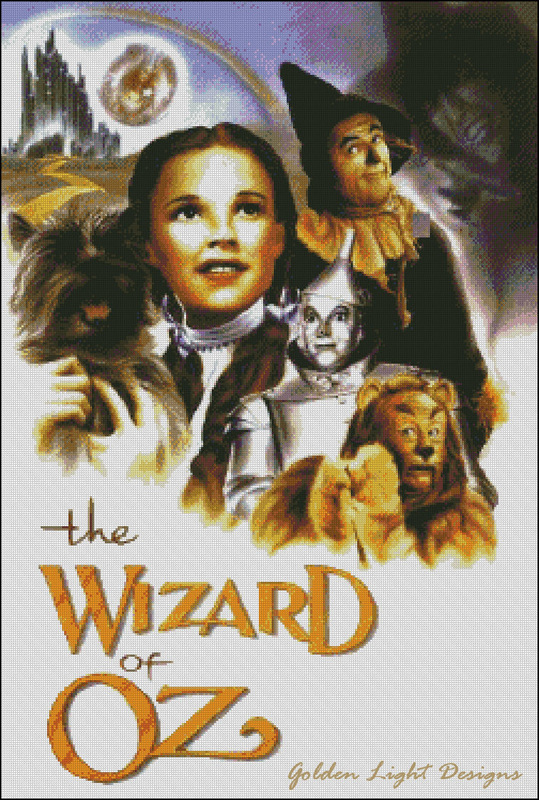 The chart features Dorothy, Scarecrow, Tin Man, Lion, Toto and Wicked Witch of the West with the yellow brick road to the Emerald city in the background.